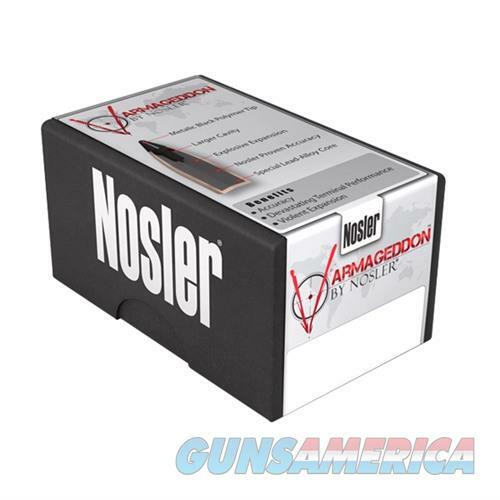 Description: Nosler, Inc. 17240 22 Caliber (0.224") 55gr Flat Base Tipped 100/Box Nosler's Varmageddon bullets are designed with the needs of high-volume varmint hunters in mind. The flat-based bullets feature an ultra-thin jacket mouth and specially designed jacket wall to ensure utmost integrity during flight, while delivering devastating fragmentation on impact. These highly-accurate bullets are available with hollow-point or black polymer tips.